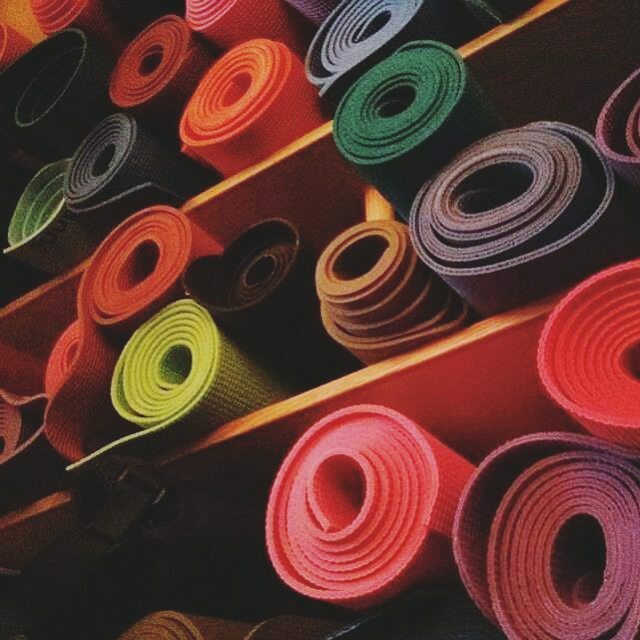 Choosing a yoga mat comes down to your preferences, your needs, and your practice. As it should be, not all yoga mats are created equal, and there are variables you will want to consider before purchasing your own yoga mat. First things first, let’s start with the basics. Like many other things, you’re going to get what you pay for, and this certainly applies to yoga mats. The price of yoga mats range from £10 to over £100, which is a considerably wide margin. The lower price range can typically be found in big-name department stores, but it means you probably won’t be investing in a reliable, quality mat. The price tag increases with brand name and materials used. Just know that a quality mat is well worth the investment. The most important qualities in my opinion are: Cushion (enough to protect joints but not too much that it throws off balance), weight (easy to carry to class), and durability. The £15 mats may see breakdown after a few weeks, so consider this when purchasing.